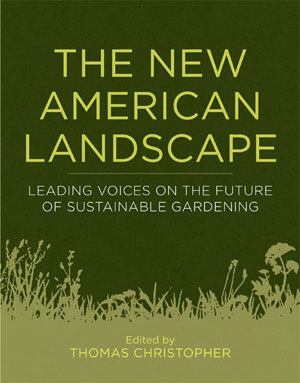 “The New American Landscape: Leading Voices on the Future of Sustainable Gardening“ argues that making home gardening practices more sustainable is instrumental to tackling global warming, pollution, habitat loss, water shortages, and diminishing biodiversity. As editor Thomas Christopher explains in the introduction, yard and garden equipment ”fugitive dust” accounts for about 5 percent of our nation’s air pollution. 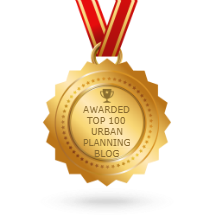 Additionally, the use of invasive non-native plant species causes a range of costly problems. Municipalities in Florida have spent $250 million over 30 years in an effort to control invasive, exotic plants. Instead of exacerbating these issues, gardeners must harness the many ecosystem services provided by natural systems and design gardens that support and strengthen local ecologies. This how-to guide clearly demonstrates how gardeners’ sustainable practices can positively shape our shared enviroment. In “The Sustainable Edible Garden,” Eric Toensmeier, who was recognized by the American Horticultural Society for his book “Perennial Vegetables,” states that “if we focus exclusively on native plants in our landscapes, we are externalizing the ecological costs of our food production.” He runs through various approaches, such as backyard micro-livestock, and lists low-maintenance food crops that can effectively transform a yard into a culinary bounty. “Gardening Sustainable with a Changing Climate,” written by Cornell Professor David W. Wolfe, offers hope for gardeners.“Gardeners like to experiment, and, unlike farmers, they have the luxury of being able to be adventurous without risking their entire livelihood on it. In this way, gardeners can lead the way to what is possible in a changing climate.” Wolfe discusses the effects of climate change for gardeners and lists ways that gardeners can concretely improve the sustainability of their plots while weathering the sometimes-unpredictable variations. Thomas Christopher discusses how gardeners can not only reduce the need to water, but also design gardens that clean stormwater runoff. He begins “Waterwise Gardens” by arguing that assessing your region’s water climates is essential to choosing plants. To complement the USDA Plant Hardiness Zone Map, he highlights precipitation data. The “availability of water is at least as crucial to plant growth as tolerance to cold, but clearly, the presumption is that unlimited water for irrigation may be had just by opening your tap.” He then outlines how to measure the absorption rate of your soil and then make and maintain a rain garden. University of Delaware Professor of entomology and wildlife ecology Douglas W. Tallamy explores “how our wholesale replacement of native plant communities with disparate collections of plants from other parts of the world is pushing our local animals to the brink of extinction” in “Flipping the Paradigm: Landscapes That Welcome Wildlife.” He encourages gardeners to consider the carrying capacity of their plots so that balanced communities can foster dense, complex food webs. Elaine R. Ingham, an internationally recognized soil scientist, connects garden design choices to their effects on the soil food web. “Managing Soil Health” educates the reader about the basic role and types of soil bacteria, soil fungi, soil protozoa, and micro-arthropods and annelids. Additionally, Ingham writes that “when a pest or disease attacks a plant in your garden, the information being conveyed is that he plant is stressed and unhealthy.” She argues poor soil health is the primary cause of common gardeners’ problems. Toby Hemenway, who lectures worldwide on permaculture and ecological design, strings together the diverse voices in the book in the last chapter, “Landscapes in the Image of Nature: Whole System Garden Design.” He writes that often a tree is chosen to be a part of a landscape for its foliage, and comments that “when we plant a tree solely for foliage, we’re quite literally missing the forest for the trees, and ignoring a wealth of opportunities to connect ourselves and our landscapes to the environment that we are dependent on for everything.” He offers a five-zone framework that works outward from the space closest to the house to its lot boundary and explains how to move towards natural, maintenance-free wildlife habitats.